A new report highlights the lack of religious freedom in Sudan and says improvements in this area remain “an essential goal” for the US before relations between the two countries can be fully normalised. A delegation from the US Commission on International Religious Freedom (USCIRF), an independent, bipartisan advisory body, visited Khartoum and North Darfur in May and heard from stakeholders “that there is no religious freedom” in Sudan. The delegation heard that rights defenders and minority religious communities such as Christians and non-Sunni Muslims “face unique discrimination”. 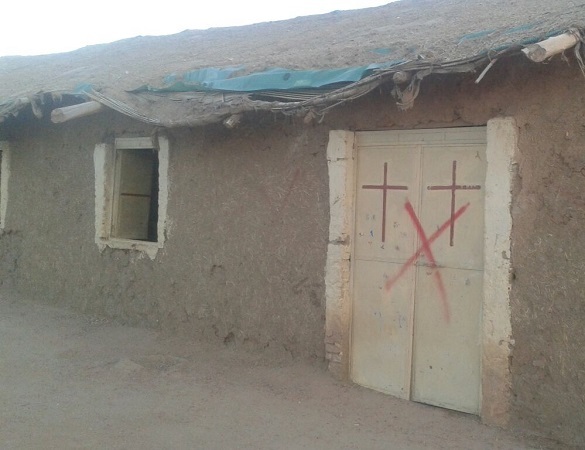 Sudanese Christians told USCIRF they struggle to get permission to build churches or to obtain papers to prove their ownership of a church. As a result of this and other forms of government harassment, many churches have been seized, demolished or sold off to investors, as World Watch Monitor has reported. In February, a church belonging to the Sudan Presbyterian Evangelical Church (SPEC) denomination, in the Khartoum suburb of Haj Yousif, was demolished despite a pending legal appeal. Christian leaders also face the continuous threat of being arrested and detained, often without charge. Pastors told USCIRF that “even when they have success in civil court cases, there is no change, and the decisions are ignored”. But the acting governor of North Darfur state, Mohamed Biraima, told them his state “enjoys peace and stability, pointing to their respect for all religions and religious minorities”, according to the Sudan Tribune. Meanwhile USCIRF learned that the Sudanese government has not taken any steps to implement the Religious Freedom Action Plan put forward by the US in 2015, which called on Sudan to “cease discriminatory practices against non-Muslims and enhance compliance with international human rights standards”. USCIRF reported that Sudanese officials said “they were open to engaging … and might respond to the Action Plan, or present their own, by the end of the year”. The commission’s visit took place as the US government starts to lift sanctions on Sudan and is contemplating removing the country from its list of State Sponsors of Terrorism. In October last year the US said it would lift the economic sanctions “in recognition of [Sudan’s] positive actions” in fighting terrorism, expanding humanitarian access and reinforcing a cease-fire in conflict areas. Governor Biraima said his government has been addressing these and other issues, including illegal migration and human trafficking, and called for ongoing support from the US and the European Union. Rights groups, however, have called on Washington to “put the brakes on” normalising relations, saying there has been little evidence of progress in the area of human rights.